Are duotheistic, worshipping the Goddess and the God, opposite partners or two parts of a whole. The Goddess can also take the form of a Triple Goddess, with Maiden, Mother, and Crone aspects. Are polytheistic, recognizing that there are many different deities or sub-deities. Believe in reincarnation, where the soul is returned to a living being after death. Many Wiccans also believe that the soul resides in the Otherworld or Summerland between lives. Practice magic/magick. This could include spellwork (releasing an intention into the universe) or something as simple as visualization or prayer. Follow the Wiccan Rede, which states “an it harm none, do what ye will”. This includes harm to others as well as yourself. Follow the Threefold Law or Law of Threefold Return, which is similar to the eastern concept of karma. Follow the Wheel of the Year, with each of the eight festivals known as Sabbats. These are a modern take on pre-Christian festivals, as well as the solstices and equinoxes, which focus on the path of the sun, the agricultural year, and the power of the God. Follow the cycles of the moon, known as Esbats. These ceremonies follow the path of the moon and the power of the Goddess. In Wicca for Beginners, Thea Sabin describes Wicca in a series of points. Wicca is an old-new religion. Although based on pre-Christian pagan traditions, what we today call ‘Wicca’ comes mostly from Gerald Gardner in the 1950s, compiling ancient pagan practices with modern influences, such as the Golden Dawn and Freemason traditions. Wicca is an earth-based religion. Wicca celebrates the earth and nature, the wheel of the year, and the cycle of life. Wicca is experiential. You don’t just read about Wicca, you experience it by participating. Your experience tells you what’s true, what works for you, and what you believe. Wicca is a mystery tradition. Wicca celebrates the mysteries of life such as birth, death, love, and deity. Wiccans reach beyond our five senses to try to commune with the divine, such as meditation and pathworking. Wicca is European Shamanism. Although not exactly the same, Wicca shares a lot of similarities with shamanism and Native American traditions in that they work with altered states and their psychic abilities in order to overcome our fear and take charge of our spiritual paths. Wicca is a magical system. Wiccans use magic, whether ‘Low’, ‘Folk’, or ’Practical’ magic, such as everyday tasks like finding your keys, or ‘High’ magic, such as manifesting your own personal power and divinity. Satanic or anti-Christian. Satan or ‘the Devil’ is a Christian concept, and while Wiccans believe that everything has a ‘light’ and ‘dark’ side, they don’t believe in an innately evil being. Although Wiccans believe that most things have dual and opposite symbolism, they don’t believe that these opposites are antagonistic (such as God and Satan). Many Wiccans, however, are duotheistic, believing in the Goddess and the God, opposite partners or two parts of a whole, neither ‘good’ nor ‘bad. Wiccans do not try to convert others or feel that their path is the ‘one true path’. Gardnerian – Introduced in England in 1954, the Gardnerian tradition is considered the most traditional form of Wicca, from which most paths developed. Its roots are attributed to Gardner’s own experience with the New Forest Coven, as well as inspiration from sources such as Freemasonry, occultism, eastern religions, and naturism. 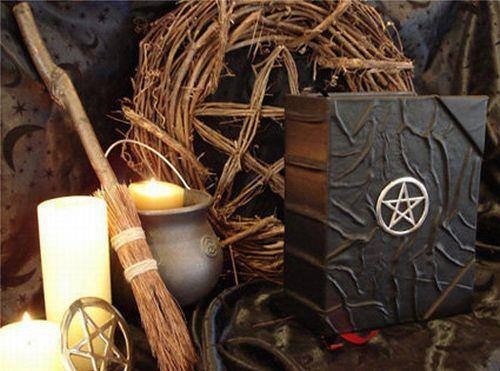 Gardnerian Wicca and similar traditions are sometimes referred to as British Traditional Wicca, in which one usually has to be initiated by a coven. Alexandrian – Founded by Alex Sanders (“King of the Witches”) in England the 1960s. Very similar to Gardnerian Wicca, with a strong emphasis on ceremonial magick. Georgian Wicca – Founded by George Patterson in California in the 1970s. This tradition draws from Gardnerian and Alexandrian sources. Seax Wicca – Created by Raymond Buckland in the 1970s. Buckland was originally Gardnerian, but founded his own tradition in America using his Saxon heritage. It is thought to be more open and democratic then Gardnerian or Alexandrian traditions. Feri / Faery – Created by Victor Anderson and Gwydion Pendderwen in California in the 1960s. Initially pre-Gardnerian however later influenced by Gardner and Alexandrian Wicca. Starhawk received training in this tradition. Reclaiming – Starhawk co-founded the Reclaiming Collective in the 1980s, linking spirituality, magick, and political activism. 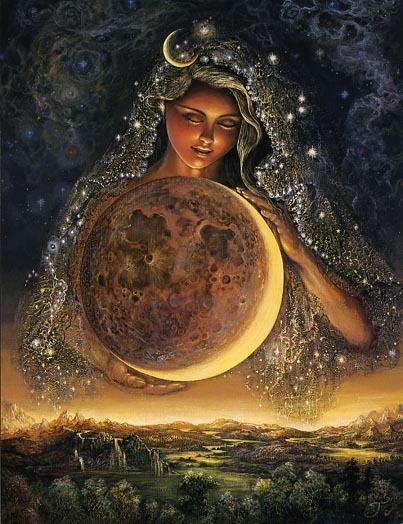 Dianic – Known as Feminist Wicca, this tradition honours the Goddess, specifically the phases of Maiden-Mother-Crone. Named after the Roman goddess Diana. Some groups are exclusive to women. Green Witchcraft – A broad category, sometimes associated with kitchen witchcraft and natural/herbal magic. Hereditary / Family Tradition – Traditions that have passed through family, therefore claim blood lineage not related to Gerald Gardner. Eclectic – Doesn’t follow a specific tradition, but borrows from many traditions and cultures. Very popular, as it grants freedom and lacks hierarchical structure. Can be initiatory or self-initiatory, practiced solitary or in a coven. Solitary – Those who practice without a coven, who learn and practice on their own. Usually self-initiatory and eclectic-based. 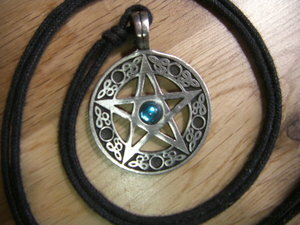 Wicca is the largest group within the greater Neopagan movement, with nearly half of all Neopagans identifying as Wiccan. Some Wiccans prefer to term ‘witch’ to highlight their practice in witchcraft, however not all witches identify as Wiccans, and vice versa. This entry was posted in Blog, Paganism, Wicca and tagged Pagan, Paganism, Wicca. Bookmark the permalink.